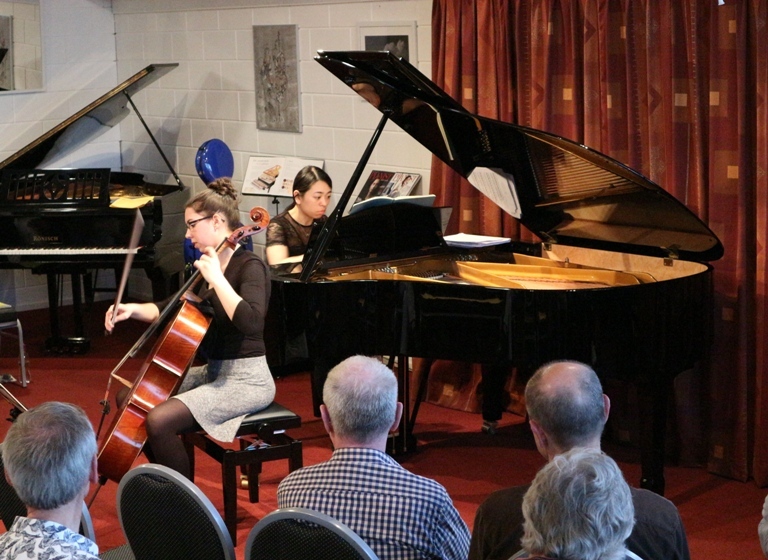 Woensdag 18 april genoten we enorm van het fabelachtig mooie concert van Petra Ruth Alexandry, piano en Rachel Mills, cello. Zij speelden: Bach: Suite 1 G maj. L. van Beethoven: Cello Sonata No 5 Op 102 No 2 en R. Schumann: Fantasiestücke Op 12. Binnenkort zullen zij hun Masterexamen doen bij het Koninklijk Conservatorium. Het concert begint om 20.00 uur. Zaal open om 19.30 uur. Showroom Cox Pianoservice, Meridiaan 25/47, Gouda. Volop gratis parkeergelegenheid. Entree € 12,- Komt u voor de eerste keer? Dan is de toegang slechts € 9,- ! PETRA RUTH ALEXANDRY, piano. Petra started her musical education when she was 8 years old in Jakarta, Indonesia and received lessons from Caroline Kurniawati, Maria Fenty Alexander, Vanda Tiodang and Levi Gunardi. In 2011 Petra decided to continue her musical study at Conservatorium van Amsterdam where she obtained her bachelor degree in June 2016. Currently she is studying in the classical piano master performance program at Koninklijk Conservatorium Den Haag under the guidance of a renowned Dutch pianist, David Kuyken. During her study she received master classes from Naum Grubert, Frank van de Laar, Frank Peters, Lilya Zilberstein, Richard Egarr, Ralph van Raat among others. She is also active in chamber music. 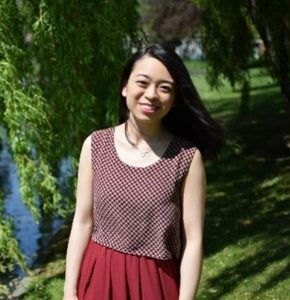 Since 2016 she has been performing in a vocal-piano duo with soprano Ardelia Padma Sawitri and recently formed a duo with cellist Rachel Mills. RACHEL MILLS, cello. Rachel Mills is pursuing a master degree at the Royal Conservatory of The Hague where she studies with Jan Ype Nota and Michel Strauss. 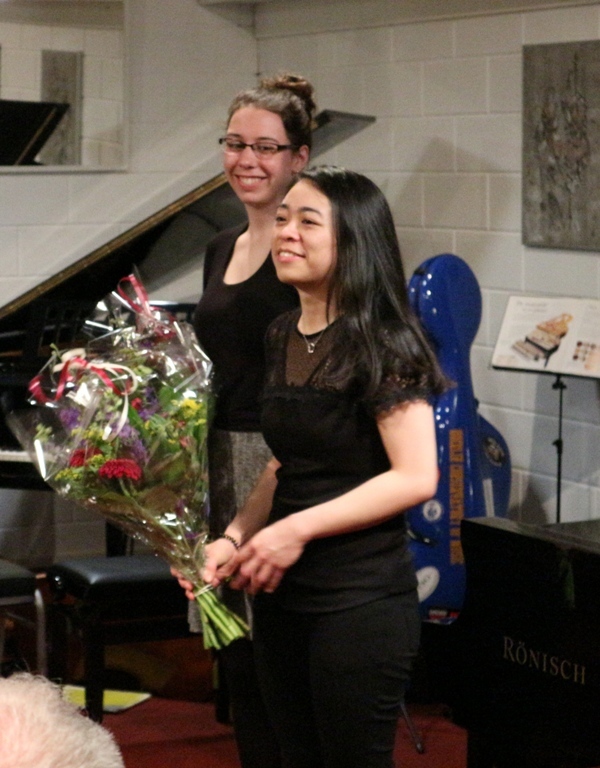 A native of New York State, she received her bachelors from Oberlin Conservatory in Ohio under Amir Eldan. While at Oberlin, Mills performed both as a soloist and with her quartet on multiple honors recitals and collaborated on recording projects with the Contemporary Music Ensemble, Oberlin Orchestra, and Sinfoniette. 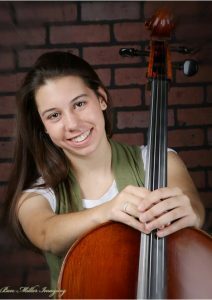 She has frequently sat principal cellist in student ensembles, including the New York State All-State Orchestra and on the Oberlin Orchestra’s most recent tour to Chicago’s Symphony Center. Mills has also participated in advanced and fellowship chamber music programs across the United States. In addition to studies, Mills is passionate about finding ways to inspire young people to engage with classical music. In doing so, she thrice traveled to Panama to teach and perform in connection with the National Music Association there. Wilt u ook concerten in onze showroom bijwonen? 2 TOPAVONDEN HUW WARREN !